At the international VDI conference, you will learn from top experts about new opportunities emerging with the digital transformation for the chemical and pharmaceutical industry. Based on practical examples, find out how renowned international companies are already successfully applying digital solutions in the context of Industry 4.0 and the Internet of Things (IoT). This knowledge helps you to develop own strategies for your company to benefit from the digital transformation. To prepare for this event, you can learn more about what digital transformation means in practice with the webinar on demand with Bert Baeck: Enabling transformation in the process industry. In the context of the digital transformation, the chemical and pharmaceutical industry are facing significant changes. Increasing digitalization will have a decisive impact on business models of the process industry. This opens new opportunities, while simultaneously providing challenges for businesses in terms of IT security and data protection. The conference “Digitalization in the Process Industry” unites high-ranking experts from both sectors – IT and process industry – to discuss these topics and jointly develop sustainable strategies for the future. Among other, you’ll learn about the innovations involved in the digital transformation of systems construction and operation. Panel and round table discussions ensure an interactive, communicative atmosphere with many opportunities for networking. Click here to learn more about Continuous Improvement 4.0 before the event! 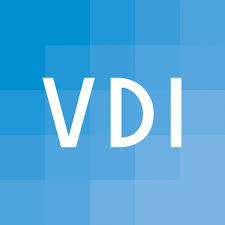 TrendMiner is proud to be one of the international guest speakers at the VDI Conference. If you would like to arrange to meet someone at the event for a 1-on-1 conversation, please contact us. Full event information and registration is available on the VDI website.